Beautiful and risk taking performance work by Saffy Setohy. 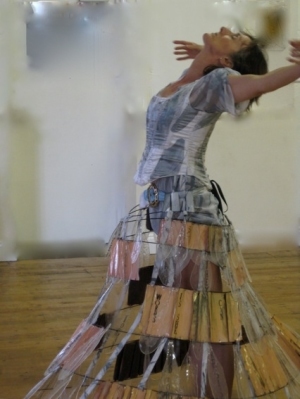 Choreographer Caroline Schanche is exploring the potential through film of a fabulous dress designed and made by artist Davina Kilpatrick, with feathers of glass and panels of copper. 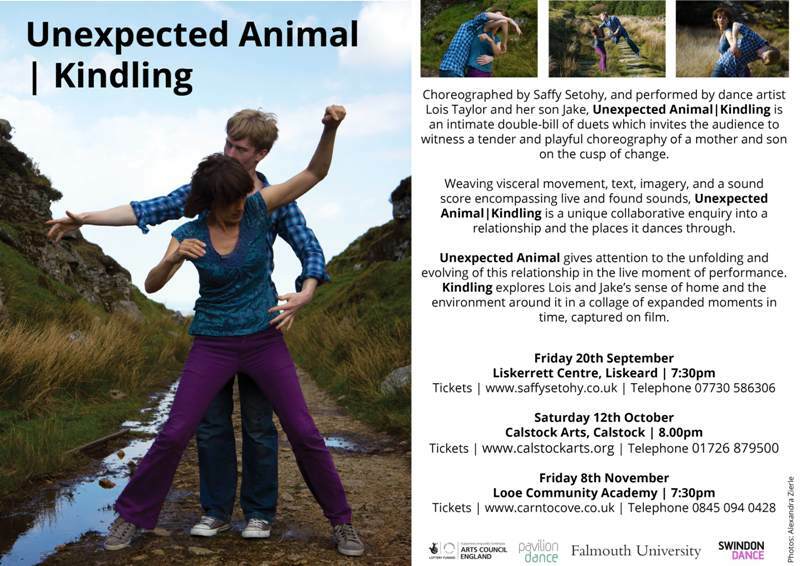 An extraordinary work choreographed by Angela Praed.